For me, his birthday is rather special…. as a kid I’ve always loved birthdays. 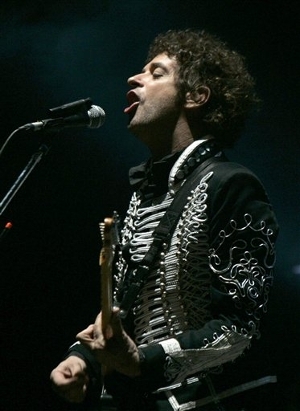 Now Argentina is a wonderful place for great music, the first artist I want to talk about is Gustavo Cerati. 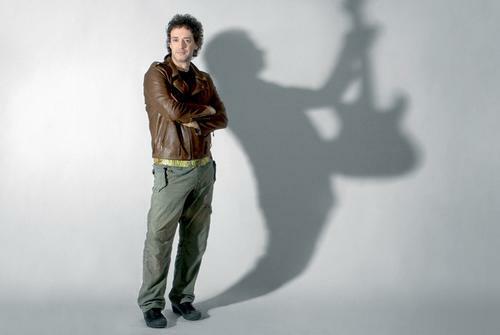 He used to be in a band called Soda Stereo I like some of their songs but I absolutely adore his solo work much more especially the first album I heard Amor Amarillo, the songs from that album are amazing. I love the way he weaves words to make songs that are more like poems, what I can understand and what I’ve learnt from others as I’m still learning Spanish and what I get from the feeling of the songs makes my heart sing; I’m so happy and grateful that I was introduced to him by a man whose perception and understanding taught me a lot; especially to appreciate and adore Cerati’s songs/writing. 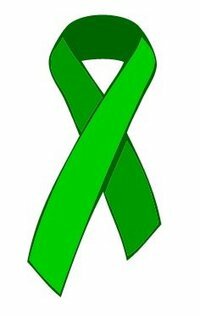 My favourite song is A Merced, there is something magical about that song, it just makes me really happy. I also love Amor Amarillo too and many others.